Incantations offered by a woman and a transvestite with the Order of Satanic Sisterhood at the state Capitol May 18 served as a reminder of the evil forces seeking control of our government. Not a single member of the Missouri General Assembly or statewide officeholder attended the, well, whatever it was. So the Satanists exercised their First Amendment rights in The Rotunda. A few people briefly observed before moving on and several Christians lingered among the statues in the Hall of Famous Missourians to pray and sing praise songs to God. Among them, Missouri Baptist Convention (MBC) missionary Omar Segovia and Bonnie Lee, a member of the MBC Executive Board. Lawmakers and staff, who are followers of Jesus, gathered in their offices to pray while the bizarre incantations were recited along with political views espousing radical feminism and homosexuality. Satan is a liar and a destroyer, who wants to control our lives. We should not be surprised that Satanists stalk our government leaders. Think Matthew 4:8-10: “Again, the devil took him (Jesus) to a very high mountain and showed him all the kingdoms of the world and their splendor. And he said to Jesus, ‘I will give you all these things if you will fall down and worship me.’ But Jesus saw through Satan’s lies. Unfortunately too many government leaders take the bait. As theologian Matthew Henry puts it, “The devil’s baits are all a sham, they are shows and shadows with which he deceives, or allows people to deceive themselves.” This is what the Satanists did May 18. They were “shows and shadows.” They are both the deceived and deceivers. I am thankful regular prayer services are held by Christians at the Capitol. Many of us prayer walk the hallways. We encourage and love those who serve our state, while urging them to resist the devil’s deceptions and pass righteous, God-glorifying laws. The Satanists said they had come to the Capitol to “give legislators something to think about” as they begin possible impeachment of Gov. Eric Greitens, according to The Jefferson City News-Tribune. Some, no doubt, might be tempted to guffaw at the irony, but we dare not laugh at the destructive impact of sin. Their presence – and their words May 18 – were no laughing matters. The regulation session of the General Assembly ended May 18, but not before lawmakers passed pro-life legislation. House Bill 1288 reauthorizes and creates some new “benevolent” state income tax credits for individual and corporate taxpayers who donate to maternity homes, pregnancy resource centers, diaper banks, child advocacy centers and for school programs for the unmet health, hunger and hygiene needs of low-income school children. “Specifically regarding the Maternity Home Tax Credit and the Pregnancy Resource Center Tax Credit, each of those two tax credits were authorized for an additional six years, the annual statewide cap was raised from $2.5 to $3.5 million effective July 1, 2019, and any unredeemed tax credits will be rolled over to a subsequent fiscal year,” said Sam Lee with Campaign Life Missouri. 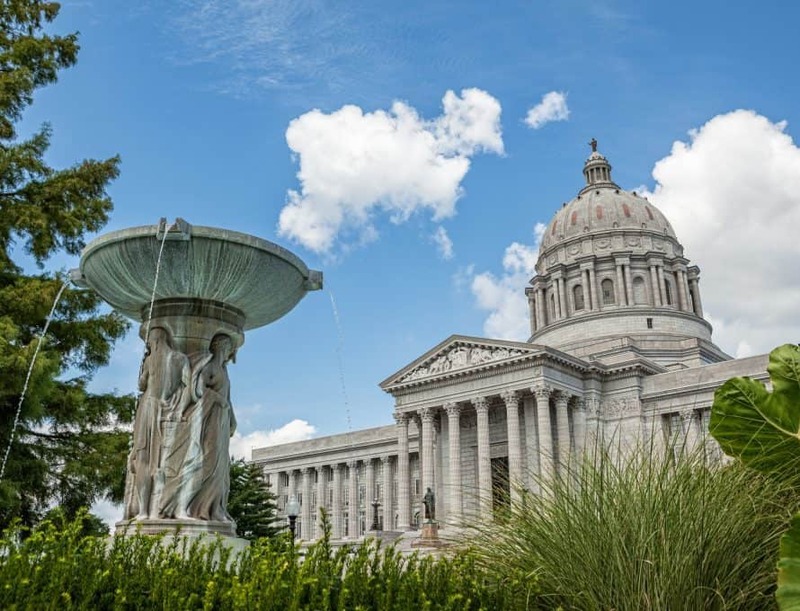 A resolution calling on the government of Missouri to acknowledge that the 1850 Missouri Supreme Court decision denying former slave Dred Scott his citizenship and freedom was wrong failed to pass. It passed the Missouri House overwhelmingly, but never made it to the Senate floor for a vote. I both testified – and wrote – in favor of the resolution, which is sure to resurface in the 2019 session. House proceedings on whether to impeach Gov. Eric Greitens began May 18. The House has 30 days to determine whether to impeach or not. If the House impeaches (it would take 82 votes to do so, a threshold many observers believe has already been attained), the Senate will appoint seven jurists who would decide on whether the governor should stay in office. The jurists will be selected from the state’s vast pool of circuit and appellant court judges. Impeachment by the House and subsequent trial means the controversy could drag into the late summer and August’s primary elections. Please pray that truth and justice will prevail.